The summer has whizzed by and now September is here with all its back-to-school and Fall activities. 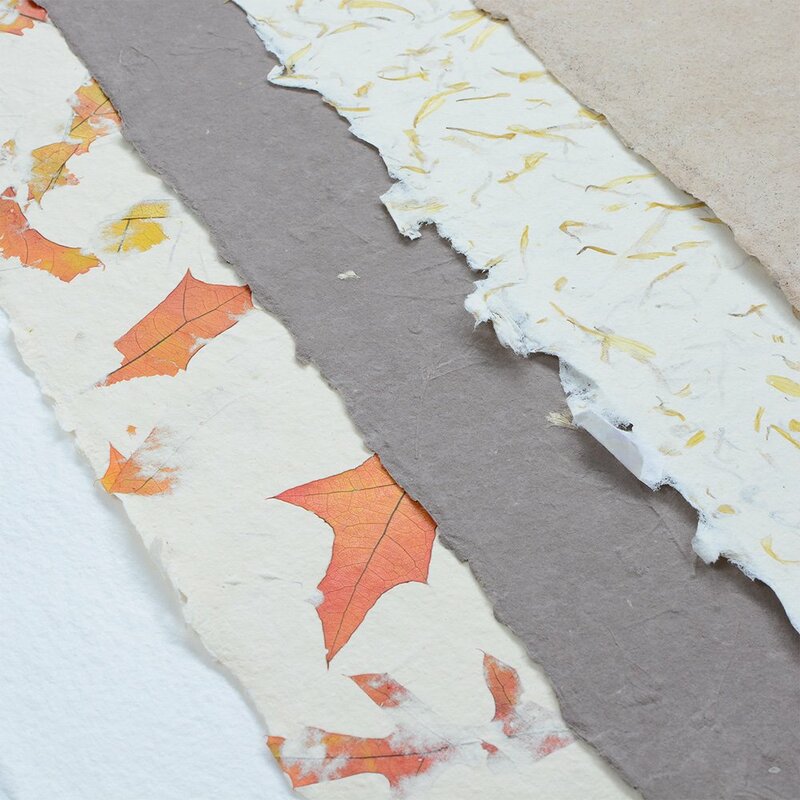 For this month’s Paper Club I chose a lovely collection of Fall-inspired papers, including one of my favorites, Autumn Leaf. I’m offering a NEW OPTION – a Mini Pack of papers, which is half the amount of paper of the regular Paper Club. This mini package of papers includes 12 sheets of handmade paper that measure 9″ x 12″. Each sheet has 2 deckle edges and 2 straight edges. It’s intended for folks who need less paper or who live overseas and need a cheaper shipping option because it will ship an envelope rather than a tube.